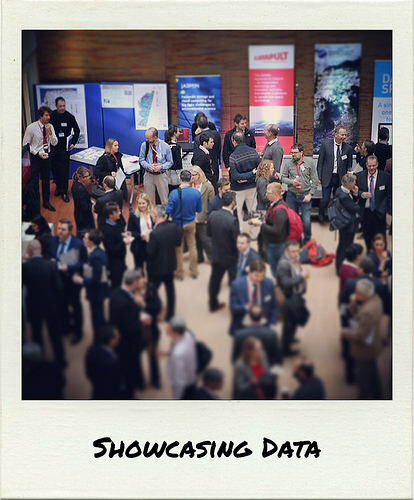 Leading Defra’s Data Revolution – Open Data Aha! This week we will be advertising the exciting, challenging and rewarding role of Deputy Director for Data in Defra on the Civil Service Jobs portal. This role is key for leading Defra’s unique and exciting data transformation programme, building on all the great work of the data teams across Defra in focusing the better use of data and open data into the way that Defra works. I’ve been leading the data and open data work in Defra for some time and doing this role on an interim basis as we built this new cross-cutting strategic programme and I’m really proud of what we have achieved so far and very excited for what Defra can do next. Data is core to everything that Defra does yet we’ve recognised that we have a challenge to maximise the use of our data assets. This makes working in data in Defra really exciting. Which is why I wanted to highlight this fantastic opportunity for someone passionate about what data can do to change the way that we deliver. There is a great team and lots of passion across the Defra group for taking this work forward. This is a unique opportunity to lead exciting work in what could well be the most interesting department in government for its range and variety of data. I have decided to leave the government, to spend more time with my two little girls, working much closer to home in South Wales and explore some new and exciting opportunities. The recruitment of this new permanent Deputy Director for Data post gives an opportunity to pass on the baton. I’ve worked in government for some 15 years with data being the common thread through all that I’ve done. I’m really proud of the work I have done and the great people I’ve worked with. I’m certainly not leaving the data community and will be looking proudly back at Defra as the team successfully deliver on the data commitments. I will be able to say more about what I’m off to work on once I’ve gone but most importantly if you are excited about the role and wanted to talk it through then drop me a line or DM me on twitter @alexrcoley. ‹ #Opendata and why PDF’s are useful.